When we stopped at the Tyler Zoo on the way home, we went to see the penguins. 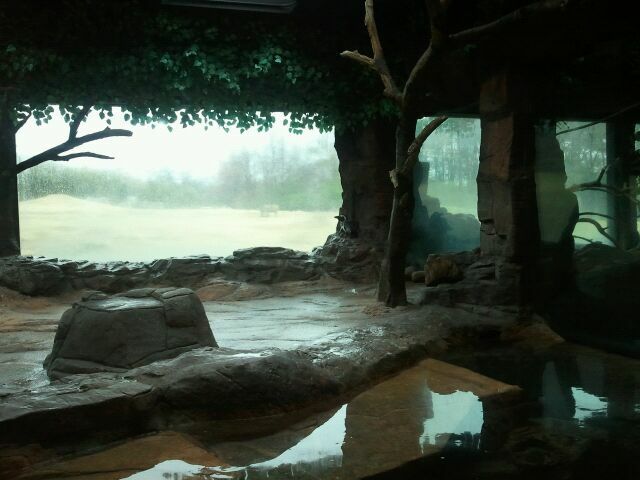 They have their own indoor area for temperature control purposes, and there are 15-20 penguins in all. This fellow, though, was all on his own, standing on the rocks near the edge of the window, looking intently out onto the African savanna area. I felt a sudden rush of emotion when I saw him, because all of us, in some way, look out our own windows toward the savanna. Hey! Wake UP Out There!